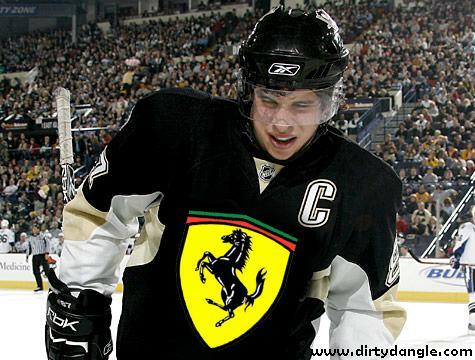 Question 1: When will Crosby’s Ferrari finally make its return? How long will it last? End of November. Post-concussions symptoms return before or during the playoffs. Crosby still finishes Top 10 in scoring. Question 2: Who is the first superstar to be featured in the new Brendan Shanahan NHL.com suspension videos? Judging from those clips, you’d never know Brendan starred in Me, Myself & Irene and Forrest Gump. Corey Perry. Most likely in an incident involving the Red Wings. Question 3: Who makes the bigger return: Mark Streit or Zach Parise? Mark Streit. He's wearing the "C" this year and will no doubt want to make up for his lost season - just don't expect him to be passing to Matt Moulson that much. Question 4: If there are injuries to both the Maple Leafs’ goalies and the anthem singers, will goaltending prospect Mark Owuya be invited to do the honours? Question 5: Where (and when) does Kyle Turris end up? Florida in December. He gets to move into the basement for Christmas. Certainly not, but you can only imagine how great that would be. Question 7: Will the Washington Capitals be drafting the next great one? Okay, I use the term generously, but we’re talking Nail Yapukov here. They’ll be in the lottery thanks to the Avalanche. Question 8: Which team fire sales this year? Calgary. Oh my god, we're having a fire.... sale! Question 9: Which team fires their coach first? Question 10: In 1996, the Winnipeg Jets won 36 regular season games. Will the 2011 Winnipeg Jets win more or less? Less. New location, but still the same Atlanta Thrashers. Question 11: Do the contracts of any of the new signees hold a candle to some of the already existing preposterous contracts? Yes, Ilya Bryzgalov’s lifetime achievement award and James Wisniewski’s roaming nomad (four teams in the last five years, now five teams) settlement deal. Heck, in other predictions, Stanley Cup Finals: San Jose vs. Washington. So, am I missing any storylines? Things you’re (not) looking forward to? Finally, I would like to sincerely apologize to all readers who have reached this point only to realize that I will not be cynically disparaging any team or player in this post. However, worry not; when the Ottawa Senators lose their season opener, the floodgates will re-open. * Nowhere will you find a more amusing accumulation of utter idiots (e.g., responding to the Campoli trade, “NO WAY can you even compare Campoli to Markov! #1 top D-man vs a 6 or 8th D-Man. 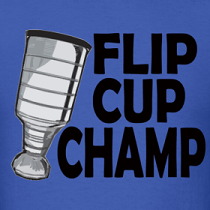 What the habs should have done was talk to the (and I hate to say this) Leafs and get finger or Komi back”). I will say that some how the Jets make the playoffs. Just a hunch I have. I can't believe they put that Mark Owuya video on Tv. Hey Nick...just to make things a little closer, Zach has just been voted by the players to wear the C in NJ too. Could have been a move to entice him to stay or could be a sign of his leadership. Either way that should pull him even with Streit to start the season!